Seven Kean students attend Lemkin Summit to End Genocide and Mass Atrocities in Washington D.C.
From Feb. 10 to 12, seven students from Kean University had the opportunity to attend the Lemkin Summit to End Genocide and Mass Atrocities, in Washington D.C. This trip was organized by The Center for Interdisciplinary Studies and the Human Rights Institute, and it was funded by one of Kean's Quality First Initiative Grants (QFI). The Lemkin Summit to End Genocide and Mass Atrocities is a conference put together by Kean's non-governmental organization (NGO) partner, the Enough Project, and Jewish World Watch, that invites students and community leaders to learn about mass atrocities and the causes of them. The three-day weekend conference gives students a chance to network, receive advocacy training and learn how to engage their communities and policymakers. The Lemkin Summit is named after Raphael Lemkin who was a Jewish Lawyer who advocated the word "genocide" and brought the term to the United Nations (UN) to have it be added to international law. He was an activist for human rights, and the Lemkin Summit to End Genocide and Mass Atrocities honors him. "The summit emphasis practical solutions and strategies that we can take as upstanding citizens to prevent these atrocities, and it teaches how to advocate for policy change. The weekend focused on learning about conflict, political instability, and the humanitarian crisis in central Africa and how it impacts us in the United States. On Monday (Feb. 12), Kean and New Jersey high students met with our New Jersey state representatives on Capitol Hill to ask them to endorse two preventative measures that will help end mass atrocities in central Africa and be beneficial for New Jersey citizens," said Sara Compion, Ph.D., director of interdisciplinary studies. The trip was funded by one of Kean's special Quality First Initiative Grants (QFI). 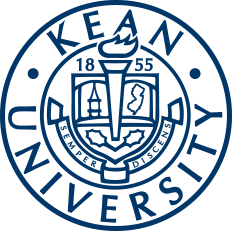 These grants fund programs that build "value-added activities that educate, inform, and enliven the local extended community surrounding Kean University." The students were able to attend the Lemkin Summit through the funds this grant provided. These students will also work on a larger initiative to encourage public universities in New Jersey to commit to following responsible purchasing and consumption practices to help reduce conflict and violence in central Africa. The Kean University Board of Trustees has the same goal and hopes that other universities follow these practices as it benefits not only the individual universities but also central Africa. "The Lemkin Summit was an awesome experience! As a woman, I felt extremely empowered to become a stronger leader and a more active humanitarian to end genocide and bring relief to all of those who are still affected by mass atrocities everyday around the world. After hearing from many brilliant individuals that informed us about genocide, Kean students (and other students/staff from New Jersey) got together to lobby to Congressmen to get a bill passed to end genocide! It was really amazing to see that I could have an impact on the world and make it a more peaceful place for us all! I initially got involved because I personally know many refugees, especially here on campus. If New Jersey has an abundance of refugees/migrants, can you imagine how many other city/states/countries have refugees as well? 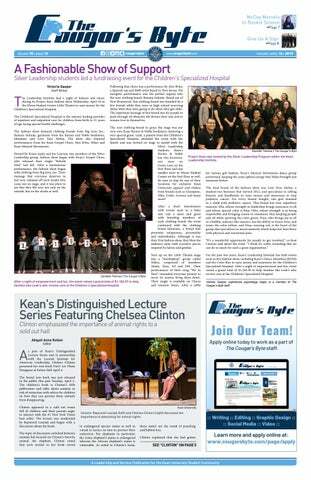 It's important that we take action and make a change in this world," said Jamie Albert, one of the eight Kean students who attended the conference, communication studies major with a minor in women and gender studies. The trip was organized by the Kean University Center for Interdisciplinary Studies and the Human Rights Institute. The Human Rights Institute works to spread awareness of human rights issues and the importance of equality. The institute helps to develop initiatives designed to eradicate atrocities and find the source of their causes. The Center for Interdisciplinary Studies offers a variety of classes as well as degrees in subjects that engage students to learn about the world and different cultures. They offer an M.A. in Holocaust and genocide studies and minors in Africana, Asian, Chinese, Jewish, Latin American and women and gender studies, as well as a B.A. in Chinese studies and a B.A. in global studies will begin to be offered in the fall of 2018. Through this conference, the students who attended were able to feel involved in the world, and it showed them the voice they have by allowing them to speak to New Jersey representatives and attending a conference in Washington D.C. The Lemkin Summit to End Genocide and Mass Atrocities allowed the Kean students to interact with the world with the education they have on subjects. They were engaging with experts and experienced a weekend of learning and advocacy for human rights.